Planning a wedding is exciting, but it can also be extremely stressful and hectic. In our last blog, we gave you some helpful tips for planning your wedding, however, we did not dive too much into the specifics. It is pretty clear that hiring a caterer should be at the top of your wedding priority list. Great food is the best way to win the hearts of your guests and to really get them excited about your wedding. Your wedding caterer will help set the mood for the entire night, so it is incredibly important to choose one that truly knows how to make your special day even more memorable. Not sure where to start? Here are a few tips that should help you get started on your hunt. 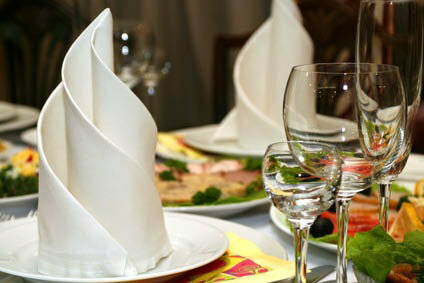 Before you start looking around for a wedding caterer, it will help to know what kind of food budget you have set aside. This will help you narrow down your search so you can get right down to your options. Don’t forget to consider how much you are willing to spend on linens, tables, and other necessities. Often times, you will be able to rent these items from your caterer. Did you love the food at your best friend’s wedding this last summer? Well, that is the perfect place to start! While going to tastings can be a lot of fun, it is almost impossible to schedule tastings for more than a few different caterers and with so many different wedding catering options available in Dallas, you don’t want to give yourself too many options. Start with recommendations from family and friends and then maybe look for some different recommendations online. You want to try to narrow down your search to about 3-5 different caters before you schedule any tastings. Many times, it is included in the contracts that you must provide your band or DJ and the photographer with meals. After all, they are going to be working hard to make your day as magical as possible. You can always work with your caterer to get special vendor meals that should cost less than a guest plate. What’s our recommendation? Call A La Carte Catering and Cakes! We have a fantastic menu that is perfect for your wedding.